In January 2018 I went on a sailing ship cruise in the Caribbean with Sail Windjammer on the S/V Mandalay. Terre-de-Haut, part of Guadeloupe, was a stopping point for this cruise. On Terre-de-Haut I visited Fort Napoléon and did some snorkeling. Guadeloupe is an insular region of France located in the Leeward Islands, part of the Lesser Antilles in the Caribbean. Administratively, it is an overseas region consisting of a single overseas department. With a land area of 1,628 km² (629 square miles) and an estimated population of 400,132 as of January 2015, it is the largest and most populous European Union territory in North America. 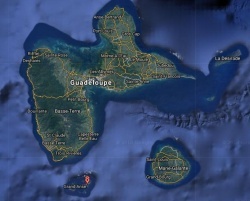 Guadeloupe's two main islands are Basse-Terre to the west and Grande-Terre to the east, which are separated by a narrow strait that is crossed with bridges. They are often referred to as a single island. 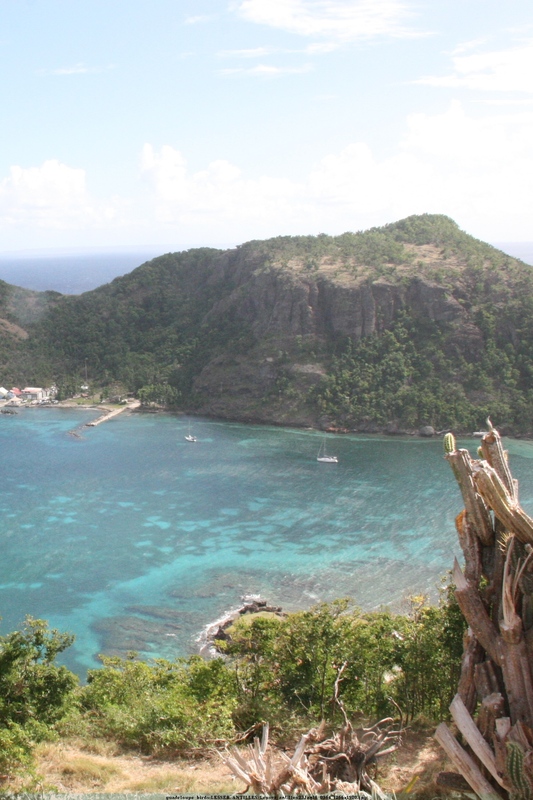 The department also includes the Dependencies of Guadeloupe, which include the smaller islands of Marie-Galante and La Désirade, and the Îles des Saintes (Terre-de-Haut).